Kenny Roberts Jr. Rider T-Shirt. The print shows Kenny on his Suzuki. The back of the shirt features a large Eagle motif. 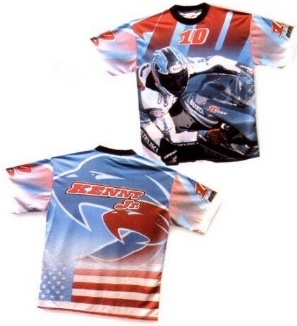 This is of course official Kenny Roberts Jr. merchandise.